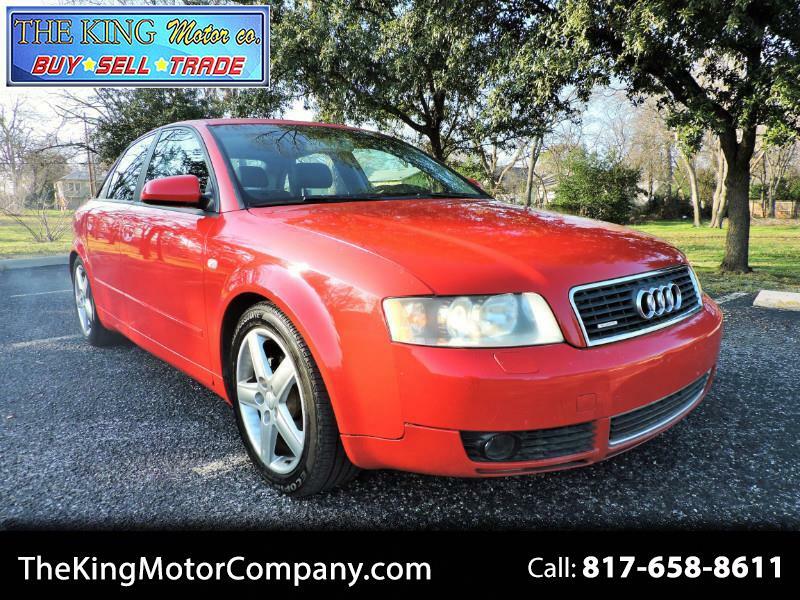 Used 2004 Audi A4 1.8T quattro for Sale in Arlington TX 76011 The King Motor Co.
**RUNS AND DRIVES GREAT!! **IT JUST PASSED EMISSIONS INSPECTION***BRIDGESTONE TIRES 85% OF TREAD ALL 4 MATCH**VERY CLEAN INSIDE AND OUT**COME AND TAKE A LOOK! !